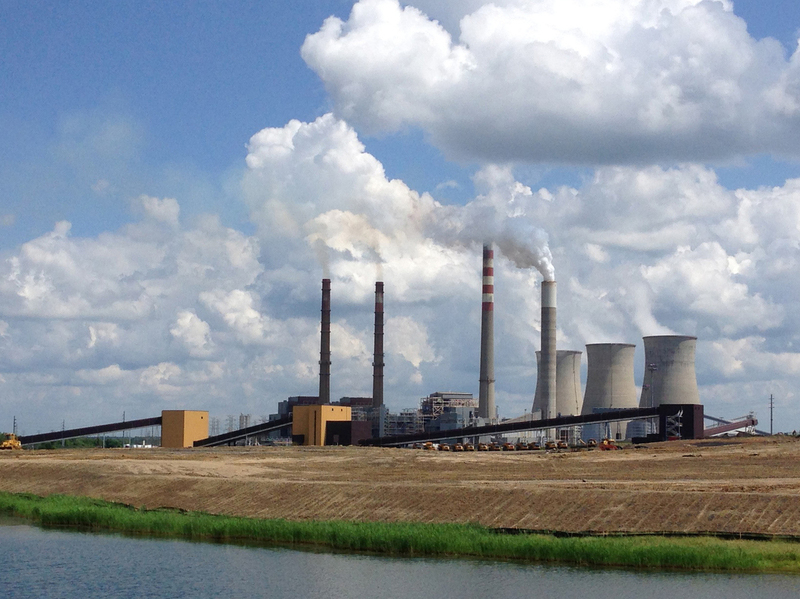 The Tennessee Valley Authority votes to close Kentucky coal plant. Despite pressure from President Trump and other Republicans, the Tennessee Valley Authority voted Thursday to close a coal plant in Kentucky. A major Trump backer supplies the plant with coal. On Thursday, the Tennessee Valley Authority voted to shut down the Paradise Fossil Plant in Drakesboro, Ky. Despite pressure from President Trump, the Tennessee Valley Authority board of directors voted Thursday to close a large coal-fired power plant. Trump's involvement had drawn criticism because the Paradise Fossil Plant in western Kentucky buys coal from a company headed by a large donor to the president's campaign, Murray Energy Corp. Chairman, President and CEO Robert Murray. TVA board member and Trump appointee Kenny Allen was the only member to vote no on closing the Paradise plant. "I am still concerned about the overall economic impact of retiring Paradise Unit 3 on the community," said Allen. Communities near the plant had lobbied to keep it open. Murray Energy employee Danny Byars told member station WKYU that he worries about long-term job security. "We went from four crews to three crews [at the mine] already," Byars said. "If they shut down, then we have to find someone else to buy our coal." TVA board member and Obama appointee Virginia Lodge sided with the majority and said, "I don't want anybody to think we have not heard and understood the heartfelt pleas from these communities. If we could make our decisions based on our sympathetic feeling it would be easy. Unfortunately we've all taken an oath to do what we think is best for the entire Valley." In an environmental assessment published earlier this month, TVA staff proposed retiring the coal-fired plant. The report says, "As a large coal unit with medium operating costs and a high forced outage rate, as well as the need for significant repairs, PAF Unit 3 does not fit current and likely future portfolio needs." The staff estimates that closing the Paradise plant and another in eastern Tennessee called the Bull Run Fossil Plant would save the agency $320 million. The vote on Thursday to close Bull Run was unanimous. This continues a trend at the TVA of shuttering coal plants in favor of other sources for generating electricity, including natural gas and renewable energy. The move has helped attract companies like Google to the area that build large data centers and want to power them with cleaner sources of energy. Despite that, President Trump said on Twitter on Monday evening, "Coal is an important part of our electricity generation mix and @TVAnews should give serious consideration to all factors before voting to close viable power plants, like Paradise #3 in Kentucky!" The president did not issue a public comment after the vote, but environmental groups were quick to celebrate. "Once again, Trump's cynical efforts to bail out millionaire coal executives have been overcome by the reality that coal plants can no longer compete with cleaner, cheaper energy sources," says Mary Anne Hitt, senior director of Sierra Club's Beyond Coal campaign. Murray Energy Corp. did not respond to a request for comment. In an emailed statement before the vote, the company reached the opposite conclusion of TVA staff: "In the interest of the TVA ratepayers, the remaining coal-fired unit at the Paradise Plant must remain in operation. The power will be more reliable and lower cost." Despite concerns about coal's significant contributions to climate change, Trump has made his support for the coal business a key point during his election campaign and presidency. Last year, Trump ordered Energy Secretary Rick Perry to take steps to help struggling coal and nuclear power plants, which have trouble competing against cheaper natural gas and renewable energy. No such plan has been carried out so far. Meanwhile, coal plants have continued to close during Trump's time in office, and coal consumption in the U.S. has hit its lowest point in nearly four decades.